Snow Plan Enacted: Overnight moved to 1/26-27. Considering a session at Camp Onas in 2019? Want more experience spending a night away from home? 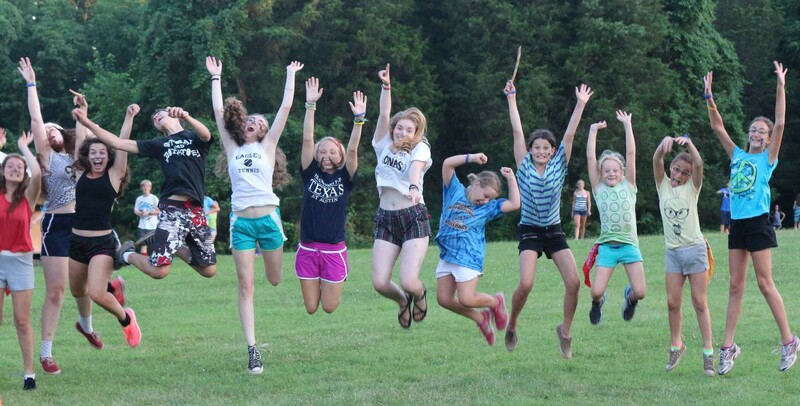 Curious what makes Camp Onas so special? Are you an existing camper who wants to help show new campers the ropes? If so, the Try Out Onas Overnight is for you! Date: January 26-27 (This was originally our snow date, so there is no longer a snow date). Time: Arrive between 2pm and 3pm Saturday; Depart between 1 and 2 on Sunday. Cost: $40 per camper. Financial Aid is available; ask for more information on your registration. Included: Indoor sleeping arrangements, all activities, snacks and meals (Dinner & Snacks on Saturday, Breakfast and Lunch on Sunday). Activities: Indoor and Outdoor Games, Arts & Crafts, Archery, Rock wall, special Onas-only activities, song-singing, a campfire, and more! What to bring: Sheets & a blanket or sleeping bag, pillow, toiletries, a towel, 2 pairs of sneakers or boots (they will get muddy! ), 2 pairs of pants, 3 t-shirts, underwear, 4 pairs of socks, 1 sweatshirt or fleece, winter coat, gloves and hat. Water bottle, bandana, flashlight. A printable packing list is available here..
What to leave at home: Food Candy and Gum (we serve plenty of food at our meals together! ); Electronic Devices (no screens — so that means phones, tablets, e-readers, laptops, personal gaming devices, anything with Wi-Fi, etc. ); Any weapons including pocket knives. A full list of prohibited items is on the packing list. More about this overnight …. The “Try Out Onas” Overnight is for existing, new, and thinking-about-it campers who want to try (or come back to) Onas for a night. The cost for this overnight experience is $40, and financial aid is available. Returning campers are welcome, especially if they want to help show off Camp Onas to new campers. The event will be geared toward campers who want to see what Onas is like, and/or want to try Onas out for a night before committing to a session. It should be a great opportunity for new campers to practice being away from home for a night, too. Registering for the Try Out Onas Overnight involves telling us some basic information and completing a health form and participation agreement. After you register, we will be in touch via email, sending reminders about what to bring, when to arrive, and any snow date information. The cancellation fee for the Try Out Onas Overnight is the $15 deposit. We will refund the balance of your payment up to 1 week before the overnight date. Cancellations within 1 week (7 days) will forfeit the full deposit amount. If the event is cancelled by Camp Onas, or moved to the snow date (and you can’t make the Snow Date), 100% of the fee will be refunded.